Sinopsis: Max is a magic artist. Mr Grunt visits Max to ask him to paint many portraits of himself. Mr Grunt wants to talk to them because he feels lonely. 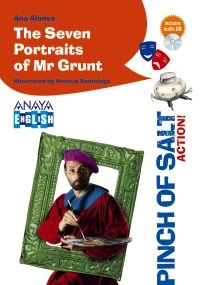 Max will use different artistic styles and will manage to paint seven completely different portraits of Mr Grunt. Temas: To become familiar with the representation of the human figure and to compare different styles of painting. 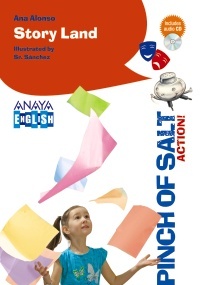 It is written as a play, so you can set up a theatre stage and act it out with your classmates. 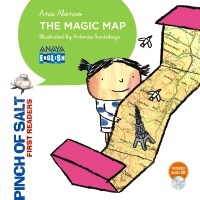 Sinopsis: Lola has a magic map that can take her to any country that she puts her finger on. That way Lola discovers a very unusual country where there are cake houses and cheese monuments. Temas: The concept of food and some food vocabulary. 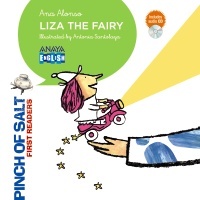 Sinopsis: Lola has a new friend: Liza the Fairy. With her motorbike and her magic helmet, she can make Lola’s wishes come true. The problem is that Lola only wants one thing: ice creams and more ice creams! Temas: The concepts “I like…” and “I don’t like…” as a way to express their own tastes.